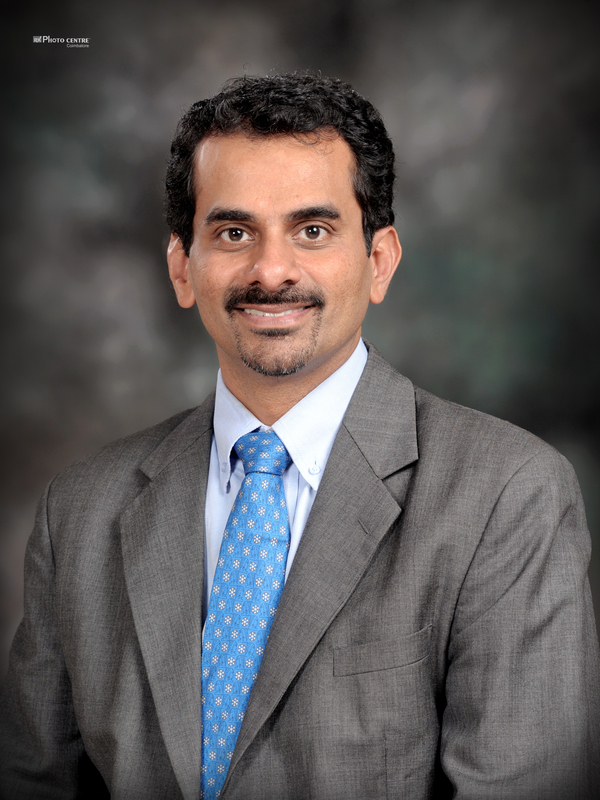 India@Kellogg recently had a chance to speak to Rajesh Radhakrishnan, KSM ’99 about his diverse career that has spanned multiple continents and functional areas. Mr Radhakrishnan currently heads Corporate Strategy at Larsen Toubro and takes us through a candid description of his career while offering his thoughts on how the academic experience and social ties at Kellogg has supported his career growth. Mr. Radhakrishnan has a B. Tech from the Indian Institute of Technology, Mumbai and an MBA from Kellogg School of Management. He currently resides in Mumbai with his wife, Maria, and their two children. Your career path has taken you through many different industries and locations – can you talk about how Kellogg impacted those career choices? I can honestly say that Kellogg changed my life professionally by opening doors that I could not have accessed as easily otherwise. Kellogg opened the door to a career in strategy consulting with a firm like Deloitte, and exposed me to options in banking, hi-tech, and consumer products; Kellogg opened my eyes & mind in a manner that tangibly changed how I presented myself and was perceived by employers, colleagues and corporations. Several professors shaped my thinking; as did the network (nay family) of Kellogg classmates, alumni, professors, and administrative staff. The Kellogg network has been a family to whom I have reached back for counsel and guidance; and to which I have been happily duty-bound to give back in a similar manner. To provide an example of my lack of exposure pre-Kellogg, I recall listening to Hank Paulson, then CEO of Goldman Sachs, speak during my first month at Kellogg and asking myself – “what/ who is Goldman?” “what do they do in investment banking”, and asking Mr Paulson a few basic (read dumb!) questions that may have embarrassed some of my more sophisticated classmates. The Kellogg network and family of students, professors and alumni has been a source of support and influence on me since the days I joined my first cohort group on orientation in September of ’97, on a KOA to Alaska (KOA ~Kellogg Outdoors Adventure, an outwards bound orientation program for the incoming class). Academically, Professors like Dan Spulber, Dave Besanko, and Dan Diermier shaped my thinking in economics and strategy those days. As I reflect on my experiences in the last 5-10 years in senior management, I think of the classes in OB, Power & Politics with Professors Medvec and Ocasio. Access and interaction with “the Kellogg family” – Professors Bala, Ocasio, Jain, Besanko, Spulber and Deans Wilson, Brasfield-Langowitsch, and Jacobs and others, for 13 years on a continuing basis is a point of gratitude and satisfaction for me. Talking about the network from Kellogg, I am grateful for the time I spent hanging around the atrium and at Friday TGs, working with a large cross-section of people through club-GMA and social-sports activities. This emphasis on “relationships as they happen” is something that shapes significantly my organizational philosophy today on the need for informal relationships. Last, but hardly the least, how Kellogg influenced me – I met my wife, Maria Welborne (MBA-MEM ’99), in the first month at Kellogg at a BMA barbecue-intro for the incoming class. We got married a month after graduation. We now have two daughters, and as all husbands will attest I continue to learn that I need to practice “yes dear, you are right, I will try harder!” – An important lesson for managing upward in all organizations! You have also worn many hats as far as your functional experience goes – ranging from Supply Chain Management, to Marketing to Corporate Strategy and Business Development. Some choose to be experts in a functional field, while others switch between functions to get a more holistic business training. You seem to have done the latter – was this deliberate / coincidental? Which route do you think best supports career success? Pursuing diverse experiences and a path towards general managerial skills was fairly consistent with my personality and gifts. Coming out of Kellogg, consulting was a natural choice for me. Strategy & operations consulting opened doors to diverse functions and diverse organizations. Some of the doors I went through were chosen in a deliberate manner; and honestly, in some instances, I was simply dealing with life as it unfolded – it is hard to engineer everything in life! During the 13 years I have been out of business school, there have been two recessions and a few personal-life-factors. I did not choose to be laid off in the global recession, 6 months after being promoted with fanfare and recognition; or plan to be on the wrong side of the management tracks after a boardroom battle and takeover. And sometimes the choices in our work are driven by family priorities. My wife, Maria, made a bold choice to devote seven years to be a mother to our two daughters, stepping off a highly promising career path that would have surely taken her to a VP-GM responsibility for a $500M business at Eaton Corporation. 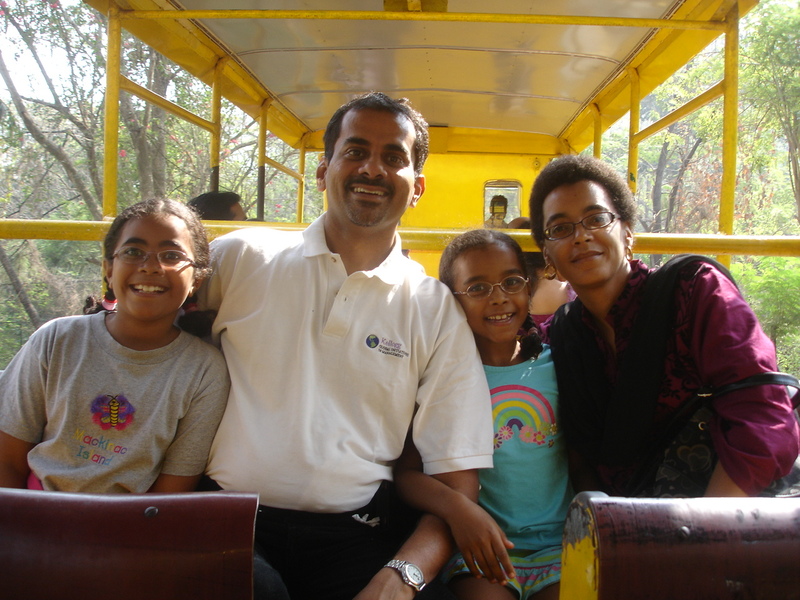 My own next move may not be about skills development or career progression, but may be driven off the family’s desire to return to the US after living in India close to 3 years. We make a few planned choices and, sometimes, deal with the cards we are dealt. Confidence in one’s skills and an enthusiasm for learning and new experiences helped me find balance with the adversity and ambiguity I experienced. Let me return to the theme in your question about whether one gains from functional diversification vs. staying focused on a function. I would say YES! You need both to be a general manager – one needs depth in one of 3 disciplines: selling the widget, making the widget, or managing the money; AND one needs to have a collective appreciation for all three areas, what drives the people who work for you, and several other disciplines that streamline the flow of value to the customer and that of money to the company. At Kellogg, in consulting and in some exceptional organizations where I served, I have been blessed with the opportunity to work with and learn from some very bright people. I see the value of analytics, consulting frameworks, DCF valuations, and structured power point communications to boards, but also reflect on how important the relationships in the organization are to be effective and how important it is to spend time with customers and to “feel” the pulses of the marketplace directly. The strategy and BD roles at the side of 3-4 CEOs (Mr. Naik of L&T, Mr. Herrick of Tecumseh, Mr Jayaram of Elgi, and M/s Hogan-Schrock of Pentair) have given me an appreciation for how gray decision zones are and how lonely the role of the ultimate decision-maker can be. Please tell us about your current role at L&T. L&T is one of the most trusted brands in India and has in recent years received several accolades for being a great place to work. What do you attribute this success to? I head corporate strategy at L&T. 50-60% of my time goes to strategic planning and coordination across 15 independent businesses spanning nearly 65 different operations (we are going through a mid-term review of the strategic plan in view of the change of economic conditions in India in ’12, vis-à-vis ’10). This is an interesting time to be in the strategy role because of the visibility across an organization during a time of transformation to meet the needs of global competition in its domestic markets and aspiration to expand outside India. These are exciting times at the organization because L&T is in a front-&-center role in India being built – whether it be infrastructure, like airports, roads, bridges, ports, metro rail, power plants, heavy engineering equipment, or defense. Personally, there is a lot of learning on the do’s and don’ts of management from working with Mr. AM Naik and the senior leadership team around him. Understanding the challenges in our power and infrastructure businesses has given me a new appreciation for the complexity of doing business in India, and competitive behavior by managing government(s) and the non-market environment. Observing executives like Mr. Naik cut through the core issues in a business review is a lot like watching Michael Jordan or Roger Federer practicing their craft – the best thing for you to do is appreciate the opportunity and take notes . L&T has diverse businesses, providing a simultaneous large and small company experience; and diversity in management styles. In my personal opinion L&T’s success has to do with three things – an overall growth story of India; L&T being good on the fundamentals, a technically sound company in a technical sector with 50,000 capable people; and a strong, family-style culture with stability in leadership. In a country where quality standards were not always high, and corners are often cut for a series of expediency-factors whether it be lack of process or corruption, L&T has spent 75 years building a high-quality organization staffed with engineers from the best universities in India and an attention to doing things well and right (may be some credit to the northern European culture that the founders M/s Larsen and Toubro instilled). Finally, I believe continuity and stability in the senior management has been significant in L&T’s growth from 7000 Cr in 1999 to 60000 Cr ($12B) in 2012. You are a member of two strong networks – the IIT community as well as the Kellogg community. How do you think the IIT versus the Kellogg experience has contributed to your career growth? The IIT and Kellogg networks have been invaluable to me at two levels: first, they have contributed to nearly thirty deep and strong friendships that have lasted ten to twenty five years; second, it is (practically) everywhere I wanted to be – like the tagline for Visa. Like Kellogg – the common factor for me in the networks is great people and the good fortune to have developed a large number of relationships. Many of us build lasting relationships in our high school and undergrad years. My days at IIT Bombay were a formative phase in my life and I grew much in confidence, capabilities and exposure. Some of my closest friends today date back to the days on IITB campus; and I gained several more from the other campuses during a phase in 2002-06 when I served in alumni association responsibilities with the pan-IIT organization. Enter your email address to subscribe to India@Kellogg and receive notifications of new posts by email. This website is the creation of MBA students at the Kellogg School of Management at Northwestern University. The content does not necessarily represent the views or opinions of the school or its faculty.